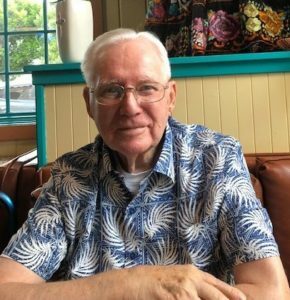 Al Palmer died peacefully in his sleep on October 17, 2018 at his home in Camarillo, California with his devoted wife, Val, at his side. Abruptly, and without explanation, Al and his siblings were removed from Winnie Lupien’s care on Christmas Eve, 1940 and each placed in multiple and separate foster care homes for many years after which Al was able to locate his brother and sister, but they never lived together again. When Al was 17, he was sent to live with Senator Styles Bridges of New Hampshire; it was here that Al’s life turned in a happy and positive direction. Senator Bridges recognized Al’s sharp mind, quick wit, extreme intelligence, and an unbridled and eager desire to learn. The Senator arranged through Congress for Al to join the Army Air Corps under a new and special program involving radar at Boca Raton Radar School in Florida. While in the service and stationed at a small outpost in northern Maine, Al was part of the first radar “shoot” of the moon. It was an event he never forgot. 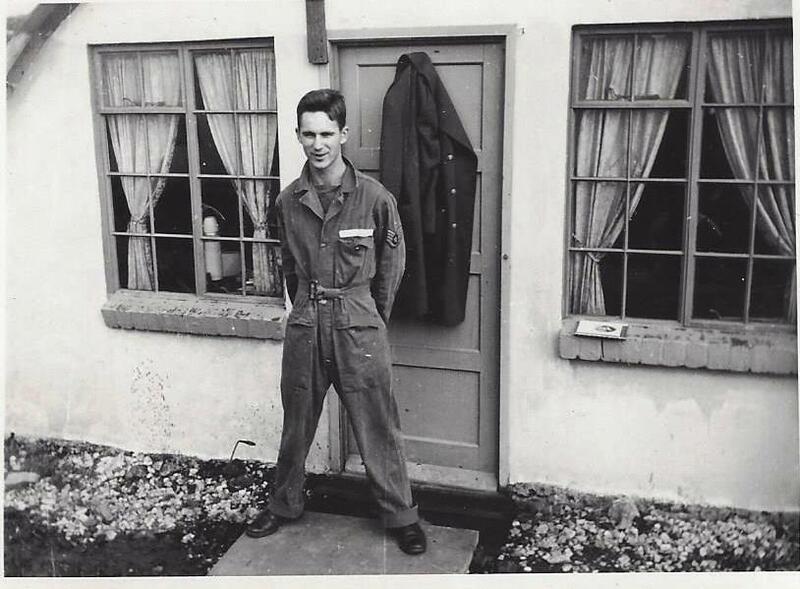 He always said, “My entire life was determined by the radar schooling I had in the service.” Al was also stationed at Burtonwood, England’s RAF base before being discharged in 1949 with the permanent rank of Tech Sergeant. Shortly after the Korean War broke out in 1950 Al was recalled for two additional tours of duty and was eventually and permanently discharged in 1956. Upon discharge from the Air Corps, Al worked for Taller & Cooper Engineering firm in Brooklyn, New York. This was when President Eisenhower initiated and created the intercontinental road system which were all funded through tolls. The vast experience Al eventually gained at Taller & Cooper allowed him to establish his own company, Palmer and Associates, and to relocate to southern California. Al actually developed the toll booth ticket issuing and collection machines used on roads, bridges, airport and stadium parking garages along with the FasTrak system which exists on many road systems throughout the country. As a toll road engineering consultant, Al traveled to over 20 countries and throughout the United States. Highlights in Al’s illustrious career were developing the toll system for the Golden Gate Bridge, the Sydney Harbor Bridge in Australia, the Peace Bridge in New York, and the entire Florida turnpike system. He took special pride in developing the toll booths at Dodger Stadium and the #73 freeway in Orange County. Al was so well known in this business that throughout his career he was affectionately referred to as “Mr. Tolls.” He even had his license plate personalized with “Mr. Tolls”. 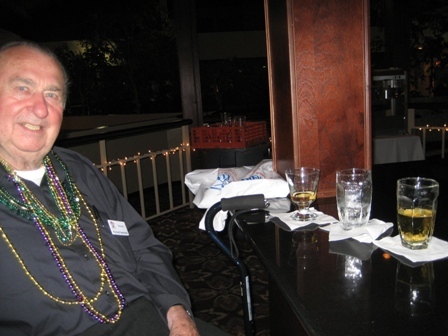 Throughout his illustrious career, Al was responsible for the preparation of all contract Documents for nearly all the toll road collection systems throughout the world including 269 bridges & tunnels, 90 turnpikes and toll roads and 188 parking systems. Volunteering his time was another attribute that Al thoroughly enjoyed. He was a docent at the Commemorative Air Force Base in Camarillo, the Camarillo Ranch House, the Murphy Auto Museum, and what was most important to him was the 16 years he spent as a docent at the Ronald Reagan Presidential Library in Simi Valley where he attained in excess of 10,000 hours volunteering. His active involvement at the Library included serving on the Volunteer Association’s Council on 3 separate occasions and being the coordinator for the Friday afternoon shift for 16 consecutive years. It was here, at the Reagan Presidential Library, that he met and eventually married his wife, Val. Al is survived by his sister, Marion, his sons Alan (Denise) and Scott and stepson Brent Trockman (Suzie) and step grandchildren Shawn, Jillian, Stephen, Paulina, and Chloe and lastly, his beloved wife, Val. So long, Mr. Tolls, we sure will miss you. 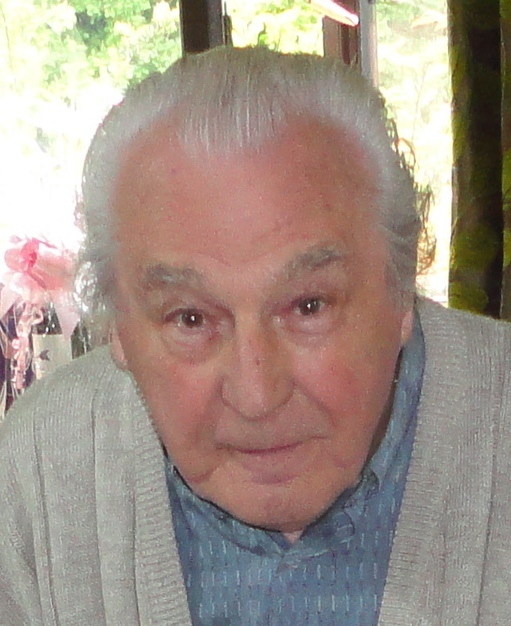 Gordon Simpson, passed away on Monday 8 October 2018. Gordon and Iris have been members since March 2002 and have been to all the US reunions since commencing at Colorado Springs in the same year; that year hosted by Doyle Dillon. 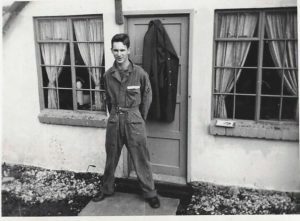 Although not based at Burtonwood, Gordon was in the British Army and they lived at Croft, close to Burtonwood and even closer to the former sub site at Croft. Gordon was a fountain of knowledge and liked to pass on information he had learned. He had a great interest in the Titanic disaster and also the loss of Glenn Miller. Gordon was Treasurer of the UK Association for some years but suffered from ill health. Due to the loss of a lung he had breathing difficulties so developed an interest in electric scooters. 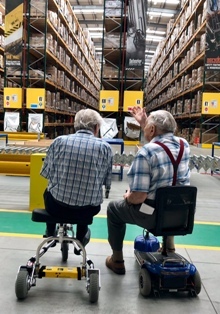 He used one and was known for his high speed manoeuvers but he also generously helped our members when travelling to the UK by making scooters available for them. Attached is a photo of him (left) with Richard Bowman (age 94) at Travis Perkins during the 2018 UK Reunion. Iris remains the UK Membership Secretary and we send he our deep condolences. Gordons funeral is on Monday 29 October. passed away in Liverpool and interned in Liverpool West Darby Cemetery. LAFAYETTE E. POOLE. Lafayette E. Poole, known by many as just plain “Poole” departed this world on his new adventure in Gods own Country on November 26, 2012. He was born July 22, 1932 at Brownsville, Arkansas. He loved the outdoors and country environment and was a very talented artist. “Poole” was a great trickster and possessed a wicked sense of humor. 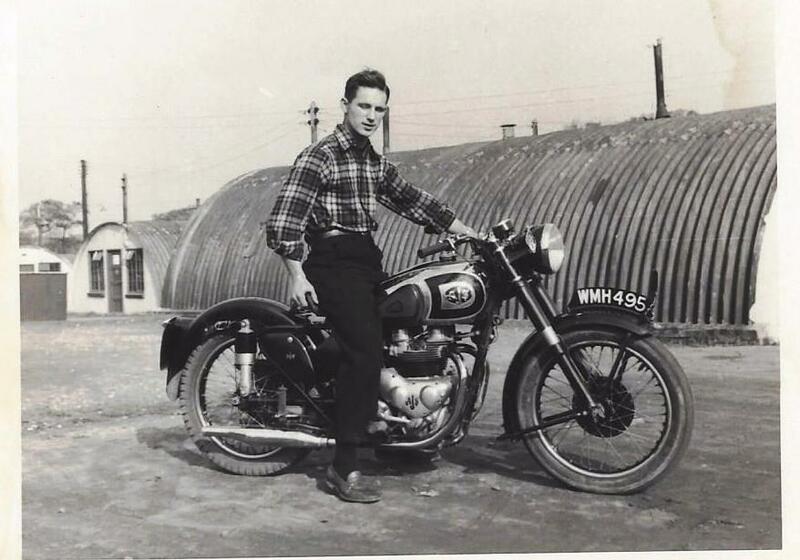 After graduating from high school in 1950 he entered the Air Force as a mechanic and was assigned to RAF Burtonwood. In 1952 Lafayette sent for his fiancée Kay, and they were married at Burtonwood. In 1954 he returned to civilian life and entered the University of Arkansas and earned his degree in Geology and began his career as a petroleum geologist in Billings, Montana. In addition to his civilian career Lafayette continued to serve his country in the Air Force Reserve, Army Reserve, and National Guard retiring with 32 years of military service. This old, red-haired Geologist walked over most of Montana, and made many friends, spreading friendship, humor, and good will. He was also a very active member of the Burtonwood Association spreading his humor and laughter. Lafayette was laid to rest with full military honours at the Veterans National Cemetery in Laurel, Montana. From Robert Steele. I’am the son in law to Wilbert Pothen, I accompanied him to the 2006 & 2008 Burtonwood Association Reunions in Southport and Manchester (respectively). On Friday (8.30.13), my wife and I transported him from a Transitional Care Facility to a Residential Adult Care Facility where he was to receive further Physical Therapy to eventually become discharged back to civilization as it were. This care facility is his nephew & his Wife’s personal home. They are a WARM, loving, happiness & spiritual Family who opened their home to him. He had a wonderful morning, joking with All,Kids,Adults, etc. Layed down for a small nap, and passed sometime around 2.30pm Saturday 8.31.13. He always wanted to pass in his sleep in a SAFE & Comfortable environment. God has granted this wish, and gave him Wings at the same time. please know that the 3 Reunions that he attended played a MAJOR role in his life. He could be in a slump and if i could get him talking about the reunions, it ALWAYS seemed to be best Medicine. Better than any prescription ever could. I truly believe that the Love & Happiness felt by him All of You was a motivating him to keep fighting the fight and Living the Dream. Not to mention Dreaming the Life. 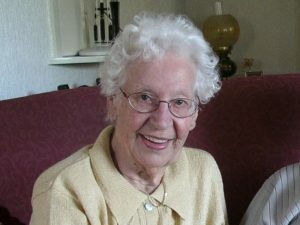 JOYCE ANN SIMMONS, wife of Richard R. Simmons Passed away at her home in Folsom, California on September 28th, surrounded by her family.Joyce and Richard were members of the Burtonwood Association for about 13 years and attended almost all the UK and US reunions, including this year in England. They hosted the 2007 reunion in Folsom, California. Richard was stationed at Burtonwood from 1951-1954, where he met Joyce. Condolences or anything that you might like to express for the “Memory Book” that family members are creating. This book will then be given to Betty & Charles’ son Tyree. Taking the time to do this will be much appreciated as you know how much Charles & Betty contributed to the formation of our 59th Air Police Sqdn. Association and the reunions that they hosted and attended. Multiple health issues over the past few years proved to be the cause of his passing. His name is Wiley E.Bratcher, who was a Staff Sergeant,during his tour of duty at Burtonwood which extended from 1951 to 1954. He served on both Town Patrol and later in the Air Police investigations. Without a doubt he was the sharpest Airman in our squadron, which was recognized whenever there was a special event calling for a formal squadron appearance. He was designated to carry the squadron staff (flag) in front of the marching group. Wiley’s closest friend, Don Jenkins, mentioned that in the all Euro Military Police Competition, in Germany, among some 400 participants, Wiley was awarded a second place trophy for his skills as well as for his sharp military appearance. Wiley was strong in his faith and will be greatly missed by those who knew him and served with him. Condolences may be extended to his wife Sylvia and family. If the address is needed they can contact me at <raishy@cox.net> or by telephone:402-572-6674. Thanks much for all that you do….George Raishy. From Alison Watkins: Just wanted to let family and friends to know of my mother’s passing (NANCY MITCHELL). She was one strong woman and I always wished her mind was a stong. I would have loved you to be able to talk to her and missed that a lot. She was ready as she had not had much of an existence for the last couple of years. She will be cremated and her ashes buried by our father Harry Mitchell in Union City, California. She was 93 years old and lived a good life.We will have a memorial for the family sometime in November. Nancy met Harry at RAF Calveley in Cheshire, they married in Edinburgh Scotland. Harry subsequently joined the Royal Canadian Air Force and on retiring from that moved to California where he was a leading light in the Canadian branch of the Royal British Legion. Nancy and Harry attended many of our reunions in both the US and UK. Above: Nancy & Harry Mitchell at Shreveport 2008. Of La Grange, NC served with the 59th Air Depot Wing, HQ & HQ Sqn from October 1948 to Nov 1949. and has been a member since 3rd August 1992 passed away on 15th Feb 2012. We were advised by Katie Mitchell & send our condolences to her & her family. Site Engineer RAF Burtonwood 1984-2009.
he sadly passed away at home on the 17th September 2012 with all his family around him. Everyone from the Association who knew his passion to keep the memory alive and always did his utmost to assist with anything that we needed. He enjoyed the recent reunion and was so proud of me and my involvement with pushing the Heritage Centre forward. Dad was Army through and through and a consummate professional not only as a soldier but as a husband and father. The biggest honour of service life is the camaraderie and respect you have for each other as soldiers. A soldiers Eulogy only contains simple words and words that spring to mind that describe Dad are: Honour, Compassion, Generosity, Trust, Loyalty, Inspirational, Wise, an Influencer. From Chicago, IL, served at BAD No.1 on site 4 from Jan 43 toFeb 44 and has been a member since Feb 2000. Jerry Brindise, his son called to say that his father RALPH BRINDISE passed away after a long illness on January 20th. Info from Jean Hall. Our condolences to Jerry and his family. Age 84, passed away on Thursday October 9th 2014. Beloved husband of the late Anne Clare (nee Tauscher). Dearest step-father of Sharon (Allan) Duren of Cibolo, Texas and Deborah (Howard) Johnson of Bartlett, Illinois. Proud grandfather of five and loving great – grandfather of ten. Dear brother of Stanley (the late Mildred) Iwanowski. Veteran United States Air Force, Korean conflict, retired 37 year veteran of the Chicago Police Dept, 4th degree life member of St Rita Council #2034 K.of C, life member of VFW Post 198, life member of American Legion Police Post 207, and the Illinois Police Association with members of the 3rd and 8th Air Forces. Ike served at Burtonwood with 59th Air-craft Equipment Repair Squ (1951); 7545th Aircraft Equip Repair Squ Dec 50-Dec 53 and played with the Burtonwood Gadgets softball team. He is a long term member of the Burtonwood Association having served on the Board for many years and also acted as recruiter being responsible for recruting many members and making many more aware of our existence. LA the first of which was almost aban-doned as the hotel was full of evacuees from Hurricane Katrine which devastated New Orleans. It was at these reunions we dedicated out memorial at Barksdale AFB and rededicated it with full reunion two years later. Ike always found a quiet spot at a bar for the duration of each reunion and would have three glasses laid out, one with a scotch, another with a beer and the third with water. We set the same three drinks up at the bar for our dinner at the reunion hotel in Portland, Or on the evening of his tragic death. The RAF Burtonwood Association owes a lot to Ike and we will never forget him. John “Jack” McMichael passed away at home on November 11, 2017. 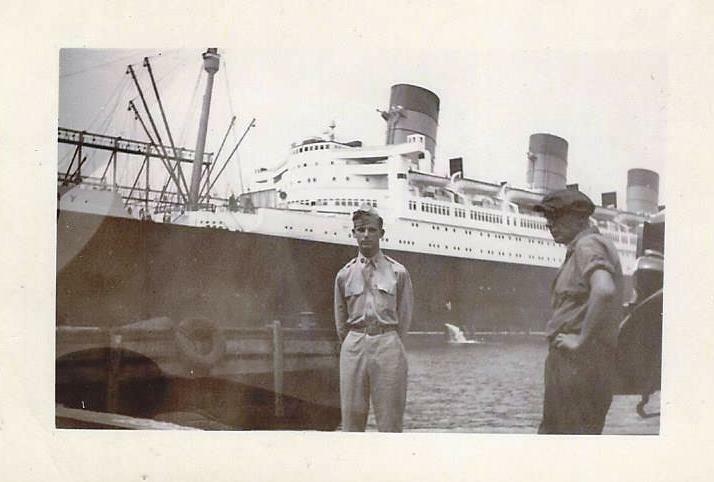 His friend John McMullen writes: He was born in Kennett Square, PA and was 88 years of age. He often referred to his wife, Val, as the only souvenir from his military duty in England. He, Val and daughter Kay were avid members of the Burtonwood Association and seldom missed the yearly US reunion. He will be sorely missed by his family and many friends. Jack served at Burtonwood from February 1954 to September 1956 with 7559th Aircraft Equipment Repair Squadron, 59th Air Depot Wing. He has been a member since June 1999 and was a Life Member. Margaret’s son Tim writes: Margaret Royds (nee Styles) passed peacefully on 16th November 2017 at her home in Kingsbury, Tamworth, Staffordshire. 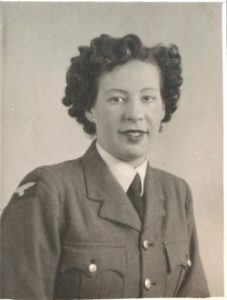 Margaret served at Burtonwood in the latter years of World War II, and it was here that she met Len, who she married in September 1945. He’d been invalided from service with the RAF in Burma, and was ordered to report to Margaret as his new boss – which in those days for a tough Yorkshireman was a tough posting! They enjoyed 67 years or marriage together and remained deeply in love until Len’s death in 2012. Margaret’s time at Burtonwood and with the WAAF remained important to her all her life. She enjoyed attending a key reunion there, and right up until her last years remained in touch with friends made during her service. Indeed, right up until her passing, she insisted on wearing her WAAF badge daily, and woe betide the Carer who inadvertently mislaid it! Margaret will be very sadly missed by her son Tim, and his wife Iris, though we will have extraordinarily fond and happy memories of our time together.